Ah Yosemite! Yes, we were back here again. 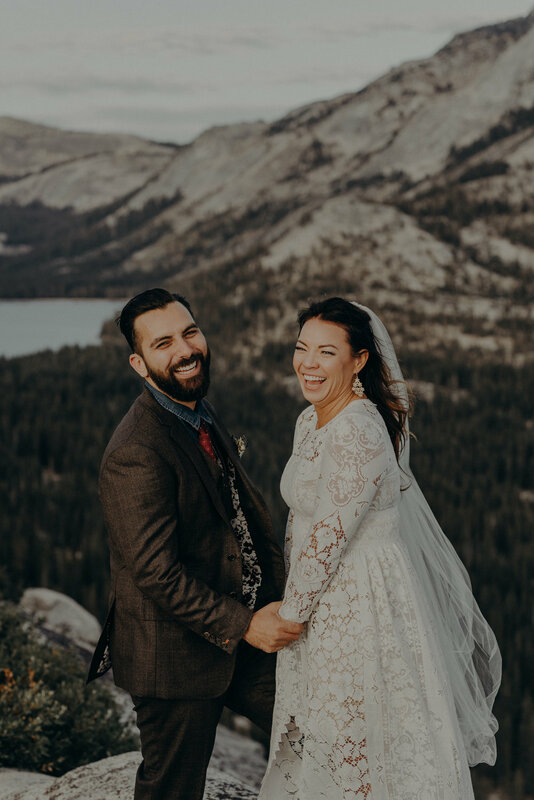 Remember the last few times we visited for this rainy fall elopement, this valley elopement, this other Evergreen Lodge wedding and their day after glacier point session? 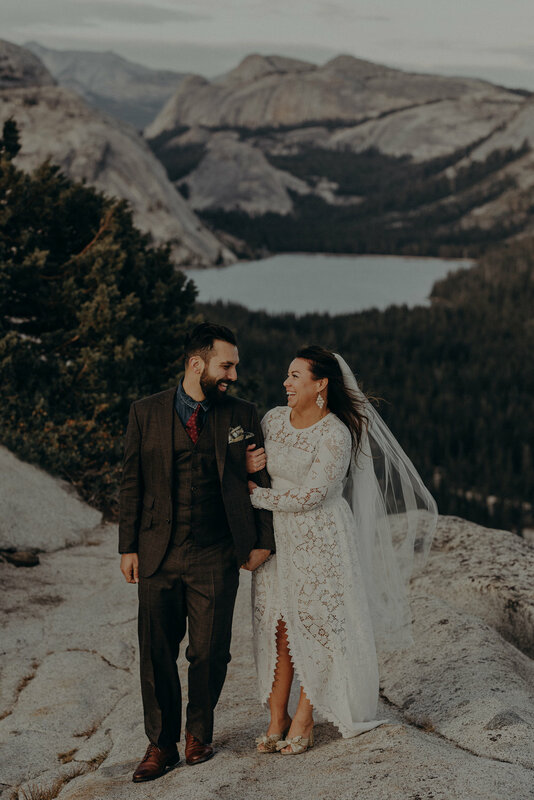 Pretty sure we will never get tired of photographing weddings in Yosemite. Brianne and Greg, us, and the majority of their guests traveled up from Los Angeles to Evergreen Lodge, where they hosted us for 4 nights in a cabin to enjoy a whole long weekend of celebrations. 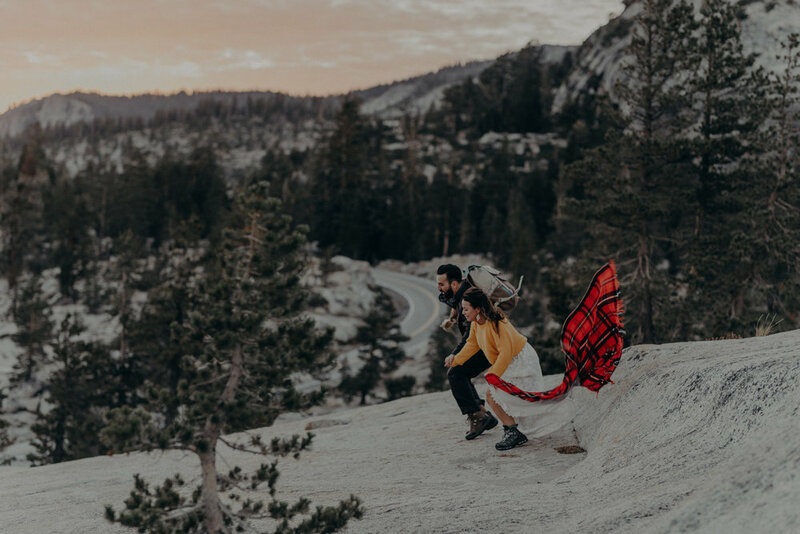 Two days before their wedding, we trailed along the granite landscape to photograph a session just them, Greg had said that these were the last few moments they had together that really made the wedding sink in. These two spent a year and a half detailing every part of their wedding day. They showed their guests so much love by customizing welcoming gifts and letters to all of them. We just love these two and their hearts and we’re so dang grateful to have been apart of this! !